Uncle Don Clark is a picture-painter, a story-teller - he's a dutiful chronicler of the human condition, from a perspective which is all his own, and undeniably human. He's been called a folksinger, but he's also been described as alternative, blues, Americana, and bluegrass - labels are naturally most elusive to those most unique, and this is a man whose early band "The Don Clark Trio," had as many as seven members. He's not defined by anything but the music, shifting styles (and instruments) to best fit the song, every song a perfect fit to him. Don Clark - christened "Uncle" in the early nineties by a bartender in Murfreesboro, Tennessee - is just himself. You won't hear many cover tunes at one of Uncle Don's solo shows - he's been doing his own thing since he wrote his first song when he was just ten, not too long before he and his family moved from New Mexico to Tennessee. He recalls it was a folk song, although he "didn't know what a folk song was" at the time. In the half-century since, he's written, and played...and written, and played some more, touring occasionally while becoming a fixture on the hip music scene in Murfreesboro, a college town not far from Nashville, recording a handful of well-received CDs - and playing and writing some more. 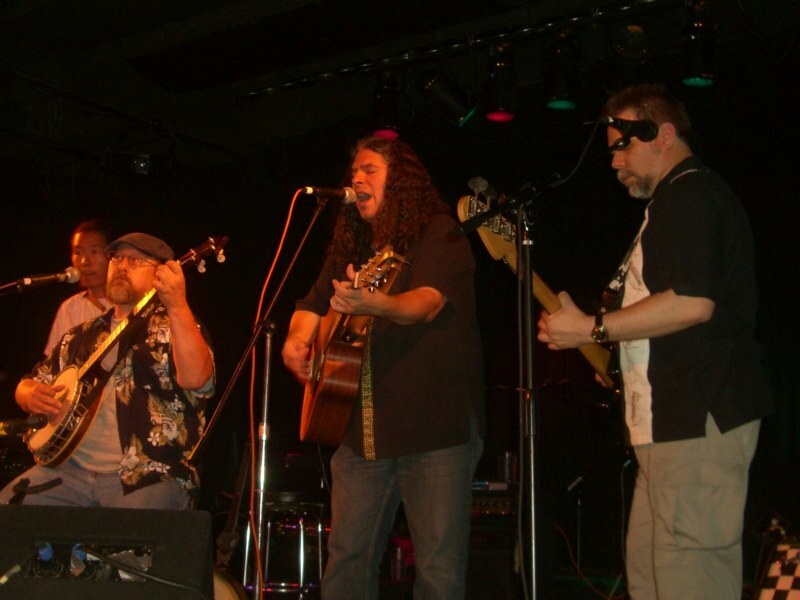 Uncle Don Clark is on REVERBNATION! LISTEN AND BUY UNCLE DON CLARK MUSIC ON BANDCAMP! His music - always well-crafted and smart - is sometimes deep, sometimes quirky, sometimes cry-in-your-beer sad, sometimes shoot-beer-through-your-nose funny. His stage persona - the twinkle in his eye, the connection with his audience, the self-effacing good nature - isn't really a persona as much as a single facet of a multi-layered artist, in the same way that the songs reveal other, sometimes contradicting, facets. ​When not doing his one-man shows, Uncle Don Clark is a long-time member of Celtic Folk/Rock favorites The Secret Commonwealth, playing guitar, banjo, harmonica, and percussion, and - of course - just being himself. - LIKE UNCLE DON CLARK ON FACEBOOK!